Tina Tamman was born in Estonia, which even today is a little-known country. Ever since embarking on her PhD at the University of Glasgow, she has been studying historical links between Estonia and Britain, the country where she’s been living now for 40 years and where for half of this time she worked for the BBC. 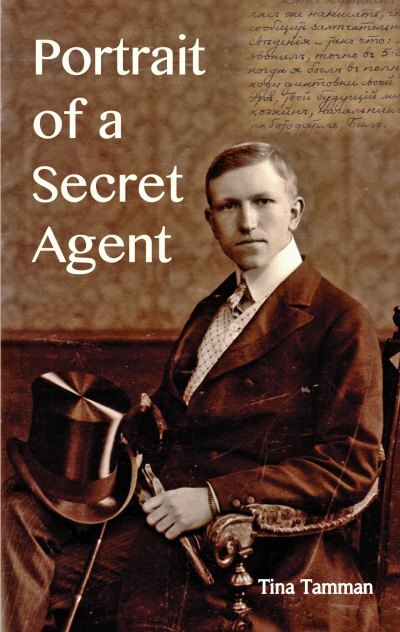 Tina Tamman: “Portrait of a Secret Agent” is a biography with an intelligence officer at its heart. His name is Brian Giffey, a man who has been a real discovery. Not a relation, a mystery man, a womaniser who fell in love with a girl half his age and, surprisingly, stayed true to her. So it is also a love story. 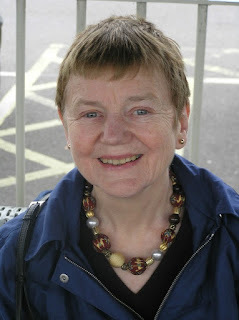 Tina Tamman: Available as paperback and as e-book. IAN: What inspired you to write Portrait of a Secret Agent? Tina Tamman: It was by accident that I stumbled across this man, Brian Giffey. The more I learnt about him, the more interesting he became. He’s a true eccentric. IAN: How long did it take to write Portrait of a Secret Agent? Tina Tamman: There was a lot of research involved, so it took me 2-3 years. Some of it was spent travelling: Giffey’s private papers, for example, are in Sweden. Also, securing photograph rights and getting copies done took time. Tina Tamman: That was very difficult. I wanted something catchy but truthful as well, since it is a biography. There are so many spy thrillers around and I didn’t want my reader to expect more than I could deliver. IAN: What do you hope your readers come away with after reading Portrait of a Secret Agent? Tina Tamman: I hope they will think about secrets, even if briefly. We are all used to Freedom of Information requests but not everybody knows that our secret service is outside the system and no questions of any description are allowed. And so the reader remains in the dark as to why Brian Giffey has not been named in intelligence history even though he died in 1967 and has no living relatives. Is he linked to a scandal that has to be kept secret? Tina Tamman: It is all based on fact; there are also numerous photographs to illustrate the story. IAN: How is your book different from others in your genre? Tina Tamman: Secret agent biographies are not that numerous, although there are a great number of biographies of well-known traitors. What sets my book apart is Brian Giffey’s loyalty to the Crown. There is no reason why the public focus should fall solely on those individuals who betrayed work colleagues. Men like Brian Giffey deserve to be known as well. Tina Tamman: Very appropriately I’m reading “The Secret Agent” by Joseph Conrad. Cleverly and beautifully written, it is not really a book about the secret service - it’s a police story. IAN: If you had to do it all over again, would you change anything in Portrait of a Secret Agent? Tina Tamman: I would allow myself to add some imaginary scenes, blend in a little fiction. I also think the title needs changing. Tina Tamman: Having no access to intelligence sources is very frustrating. It limits the field. While a fiction writer can invent, a biographer is not at liberty to do so. However, I cannot see MI6 opening its archives to researchers in my lifetime. IAN: Did you have to travel much concerning Portrait of a Secret Agent? Tina Tamman: Travel is an inevitable part of research because archives are dotted all over the place and private papers can be in people’s homes, either in the UK or abroad. Such travel allows thoughts to develop and new questions to arise. All very stimulating. Tina Tamman: Most people have heard of James Bond but the world of intelligence is much more complex, also much more interesting than Bond. The more you know, the more you want to know. Tina Tamman: It will be a venture into fiction. A stand-alone novel, it will be about inheritance. And once again both Estonia and England will come into play, as will history. 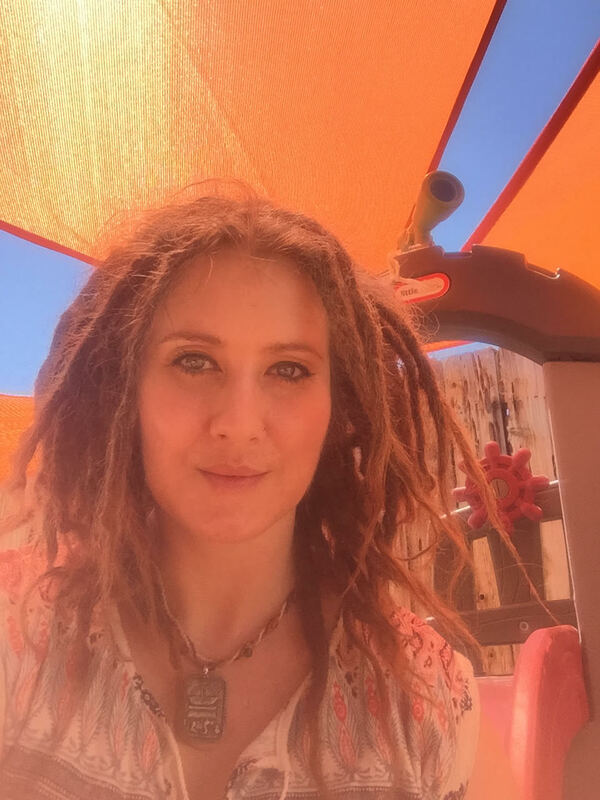 Julianne DiBlasi Black is a mom, Buddhist, vegetarian, eclectic playlist-fueled graphic designer, multidiscipline artist and illustrator. Who also writes. Her project Sleep Sweet is gaining national attention as a therapy tool in Children’s hospitals nation-wide including University of Michigan Mott Children's Hospital and the UF Health Proton Therapy Institute in Jacksonville, Florida. Combined with it’s Augmented Reality counterpart - the Spellbound App (multi-platform) the book takes on new dimensions and is shattering the confines of traditional hospital stay with leading-edge momentum. IAN: Please tell us about Sleep Sweet. 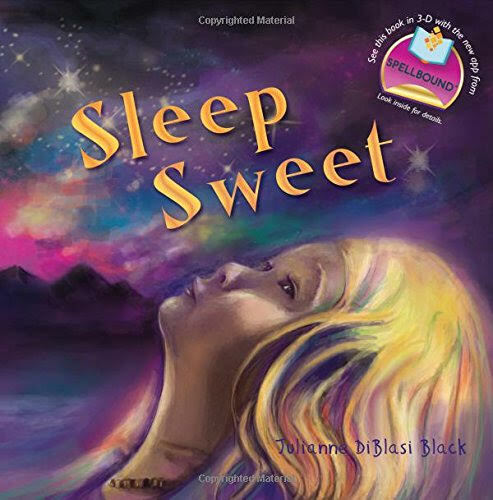 Sleep Sweet is a multi-award winning children’s bedtime book, that has been adapted with Augmented Reality technology to bring viewers a complete multi-sensory experience. It is being used as a therapy tool for calming anxiety and helping to distract young patients in children’s hospitals across the country. Viewed alone, the book is full of sweeping and fairytale like illustrations with repetitive almost suggested-mediation style text. But paired with a mobile device and a $0.99 app from Spellbound, viewers hear narration, interact with characters, enjoy ambience noises like running water and crickets and hear a beautiful acoustic guitar melody composed specifically for this book. 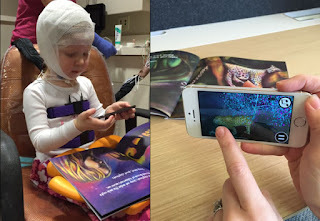 The end result is magical, and I love getting feedback from hospitals about how it helps the kids get through a difficult process or just plan relax. IAN: Is Sleep Sweet published in print, e-book or both? Yes! Sleep sweet is both printed and available in an e-book version, but I prefer the paper. To me it has more snuggle-into-the-covers appeal. Both the digital and the printed version of the book will work with the app. IAN: Tell us about the Spellbound App and how it enhances the reading experience. The Spellbound app uses the mobile device’s camera to recognize the illustration, then the 3D scene appears hovering over the existing page on the device. Users can touch the animals on the screen for reactions, have the book read out-loud or just listen to the original score- a gentle, lullaby looping classical guitar solo that is sure to please any age. IAN: Where can we go to buy Sleep Sweet? On Amazon.com, CreateSpace.com for direct sales or through me at www.SleepSweet3D.com for signed copies. I would also like to offer the Independent Author Network a discount for checking out my interview - go to createspace.com and enter in the coupon code JEZMRCF5 for a 15% discount on Sleep Sweet! IAN: Which writers/books inspired you when writing Sleep Sweet? I’ve always loved the classic bedtime tales like Goodnight Moon and The Busy Spider. While I enjoy all forms of children’s literature, I loved the idea of a book particularly designed for bed time. Something that could cary the reader far away to dream land. The illustration work is more painterly than those titles, more dreamlike and fluid. It is kind of a hybrid of my own fine art style and digital illustration. IAN: When writing Sleep Sweet did anything stand out as particularly challenging? I think creating a succession of events leading from wide awake to fast asleep in the limited time frame of a picture book was the most challenging. The illustrations feature her getting more and more tired, finally falling asleep. It was difficult judging based on reading it aloud, how that would translate when reading it to a child. Too fast and they miss the point and don’t have the time to get relaxed, too long and you’ve become boring to the adult reading it. It was an interesting balancing act. IAN: How did you come up with the story of Sleep Sweet? Sleep Sweet is both a ritual my daughter and I share at bed time as well as all the stories I’ve told her about my life and where I want to take her some day. Many of the illustrations are from my own trips to Africa, Panama, Alaska and across the US. The book is a guided meditation, a dream journal and a vision board all at once. Fortunately I developed my art circles of friends and cohorts early on and through social media, they have been expanded and brought with me anywhere I find myself. With such an awesome global support network already in place that were used to seeing my work and giving great advice, it was an easy transition to begin showing them my illustration work for the children’s books and then the full books themselves. Some of my closest friends are people I’ve never met, but through creativity and the bond of offering up yourself for review - and of course the marvel of digital relationships - I’m grateful to be well-loved and supported. IAN: What are your ambitions for your writing career? Full time? Part time? IAN: When did you decide to become a writer? I’ve always been interested in short story and poetry, but when my daughter was born, I began creating stories based on our adventures, using her as a model. In the last four years since she was born, I’ve put out ten children’s books, all having something or other to do with our home, her development or silly things we share that other parents can relate to. IAN: What do you like to do when not writing? I’m really into hiking and camping, traveling and exploring the natural world. I find most of my inspiration in ancient cultures and the timelessness of the planet so when I have downtime I work to refill that inspirational well and fantasize about my upcoming projects. IAN: Tell us about your next book or a work in progress?